It’s rare to buy an album, put it on, never want it to end, then put it right back on again when it’s over. 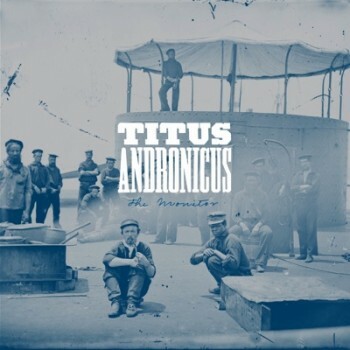 Titus Andronicus have made that album. I’ve listened to it in its entirety at least six times since buying it yesterday afternoon. Its the very definition of album. The songs fit perfectly together, they come and go in movements, examining consistent themes and revisiting musical phrases and riffs. Its huge, with rousing chorus’s, massive, thick guitars and impassioned vocals. Every moment is cathartic. Everything builds and ebbs and flows magnificently. This is art-punk’s In The Aeroplane Over The Sea. Its got a similar feel to it, a loose and slightly nutty concept, magnificent songwriting and perfect arrangement. Its sad but triumphant throughout, ending with horns, crashing drums and the singer begging “please don’t ever leave”. Its perfection, it’s ridiculous and completely irresistible. ~ by Andrew Baer on April 7, 2010.